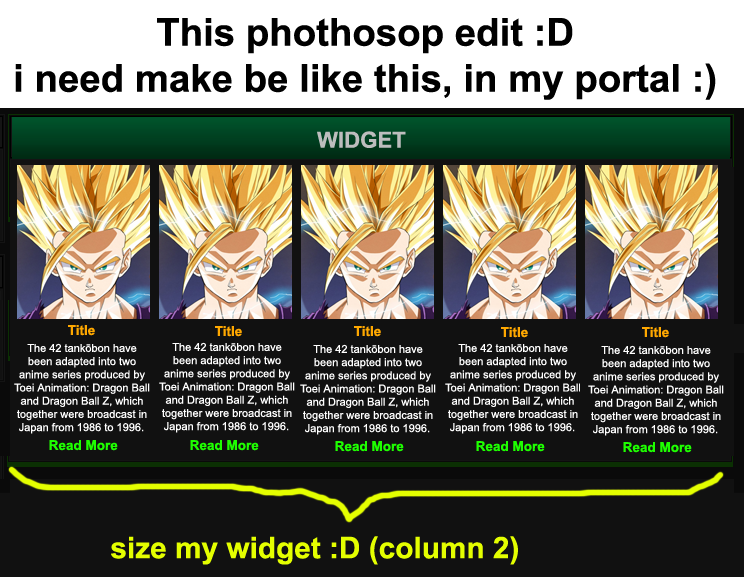 Is it possible to make image table with text in widget?? before i make that picture in photoshop. how to make be like that? The 42 tankōbon have been adapted into two anime series produced by Toei Animation: Dragon Ball and Dragon Ball Z, which together were broadcast in Japan from 1986 to 1996.